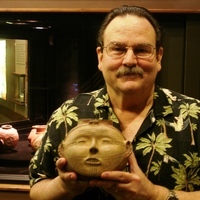 Dr. Jeffrey M. Mitchem holding an Arkansas headpot. Photo courtesy Arkansas Archeological Survey. By age 15, I had decided to be a veterinarian. I managed to get a job with a local vet in Lakeland, Florida, and worked there for the next five years when not in school or away at college. I was really serious, but ran into a snag during my freshman year at the University of Florida: I flunked two chemistry courses. For someone who had always done well in school, this was devastating. I would have to retake and pass these courses before I could move on. One of the bright spots in that dismal year was a course on North American Indians that I took as an elective. It was taught by a young, freshly-minted professor named Jerald Milanich. I had an interest in archaeology since a young age. I vaguely recall looking at some books on archaeology that my mother was reading when I was very young, and classic horror movies were (and still are) favorites of mine, especially mummy movies. I went to talk to Dr. Milanich about changing my major to anthropology. He was straightforward about the difficult job market and other matters, but when I left his office I had decided to change my major. Jerry became my mentor, and my graduate studies focused on early Spanish contact sites in Florida. 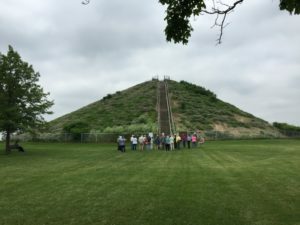 As Jerry’s field supervisor, I directed three field schools at the Tatham Mound, a late prehistoric/early contact site that had lots of Spanish artifacts. This research served as the basis of my doctoral dissertation. In 1989, it was Jerry who walked me to the stage to have my PhD degree conferred from the University of Florida. I should also mention that I’m one of the few people who can claim that a novel was published based on my dissertation research (Tatham Mound by Piers Anthony). After a year in short-term jobs, I applied for a permanent position with the Arkansas Archeological Survey (an agency of the University of Arkansas system) that was advertised as the “Opportunity of a Lifetime!”. It was for an archaeologist to carry out research on the Parkin site (ca. 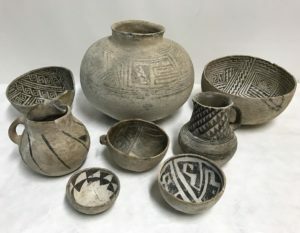 A.D. 1000-1600) and related sites in eastern Arkansas. I jumped at the chance for a full-time research job that was perfectly aligned with my interests. 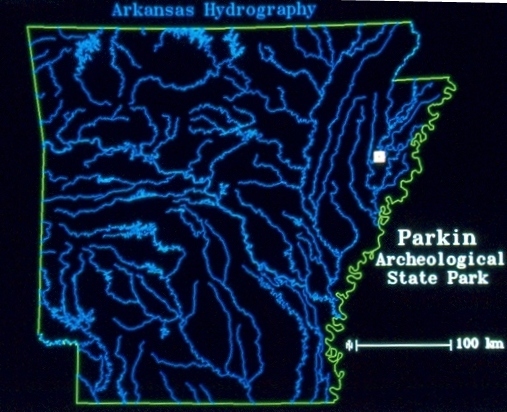 A map showing the location of Parkin Archeological State Park. Photo courtesy Arkansas Archeological Survey. 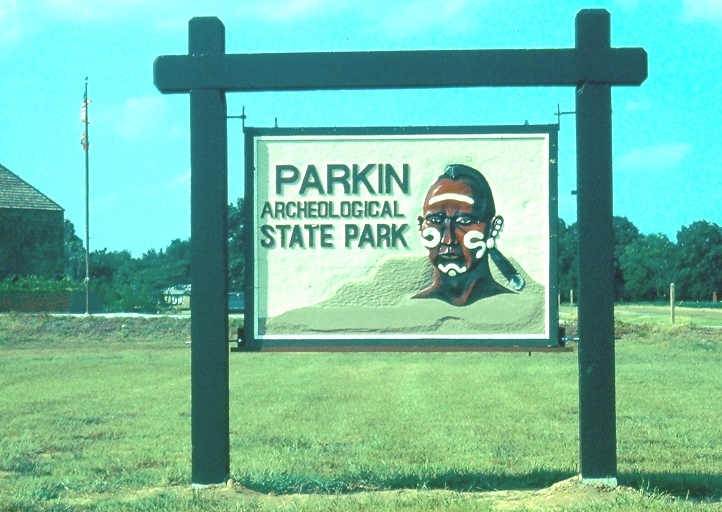 The Parkin site is a 17-acre Mississippian village situated along the St. Francis River. It is remarkable in several ways. 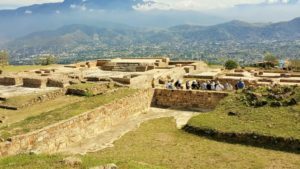 Archaeological and historical evidence suggest that Parkin was the regional capital town with jurisdiction over 20-25 smaller villages along the St. Francis and Tyronza Rivers. 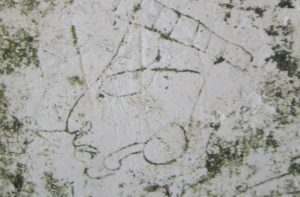 The village’s location, layout, and material assemblage (including early sixteenth-century Spanish artifacts) have convinced most of us that the Parkin site is the village of Casqui described in the narratives of the Hernando de Soto expedition, which briefly stayed in this region in the summer of 1541. Early sixteenth-century Spanish artifacts from the Parkin site. 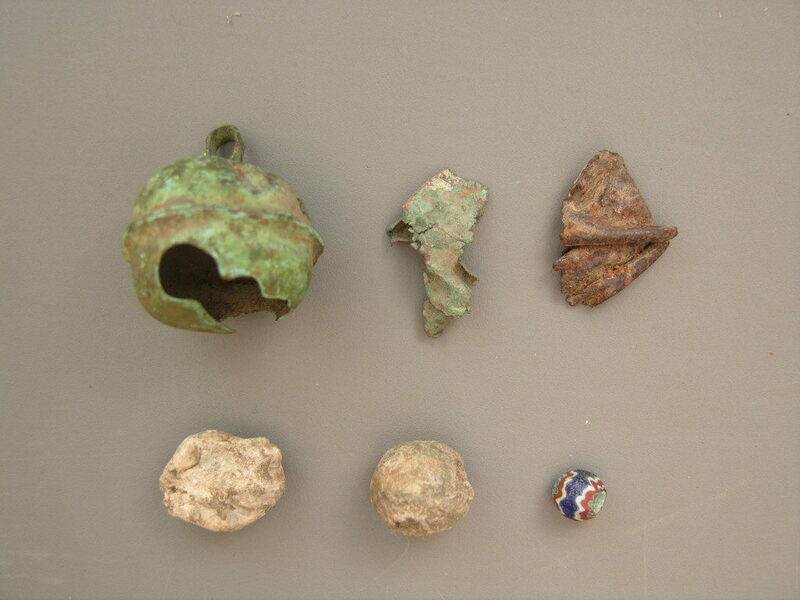 Top (l to r): Clarksdale bell of brass, Clarksdale bell fragment of brass, Possible Clarksdale bell fragment of bronze. Bottom (l to r): Lead shot that was fired or damaged, Unfired lead shot (.61 caliber), Seven-layer faceted chevron bead. Photo courtesy Arkansas Archeological Survey. Having had extensive experience with Soto-related sites in Florida, I was hired by the Survey to begin work on July 1, 1990. 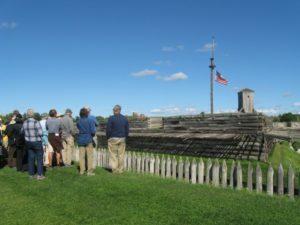 The Parkin site was the main feature of the newly-created Parkin Archeological State Park, and I was to not only direct archaeological and historical research, but also to work with State Park personnel to develop exhibits and other interpretive media to communicate our research findings to park visitors and the general public. When I say “newly-created,” I am fibbing a little. Although the Arkansas state legislature had designated the location as a state park in 1967, they did not provide funding until 1989. Nor had they acquired much of the property, and there were still several occupied houses on the site. The sign at Parkin Archeological State Park. Photo courtesy Arkansas Archeological Survey. When I arrived in Parkin, I set about moving into a rental house and into my temporary office/lab space. Both were owned by a local dentist, Dr. Richard Toland, who is still my dentist today. Our office was in the back of his dental office. I hired staff (including my wonderful assistant Faye Futch), and before long we were up and running. I was concerned about the remaining properties that needed to be acquired within the park boundaries. The real estate specialist for Arkansas State Parks felt they had purchased all of the lots that they could, and the remaining properties either had complicated title problems or the owners refused to sell. He pointed out that the agency was not in the real estate business, and he had limited ability to negotiate. Enter The Archaeological Conservancy, specifically TAC President Mark Michel. I had heard about the Conservancy ever since its founding. 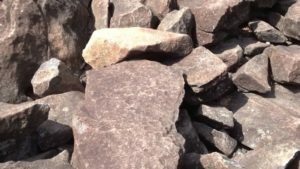 I learned that Mark had been involved with the Parkin project since 1983, when he attended meetings with local residents and state officials working to establish Parkin Archeological State Park. I don’t recall when I first met Mark, but we hit it off and he has become a close friend and colleague. Over the years, he facilitated or single-handedly negotiated the acquisition of several pieces of property that are now part of Parkin Archeological State Park. 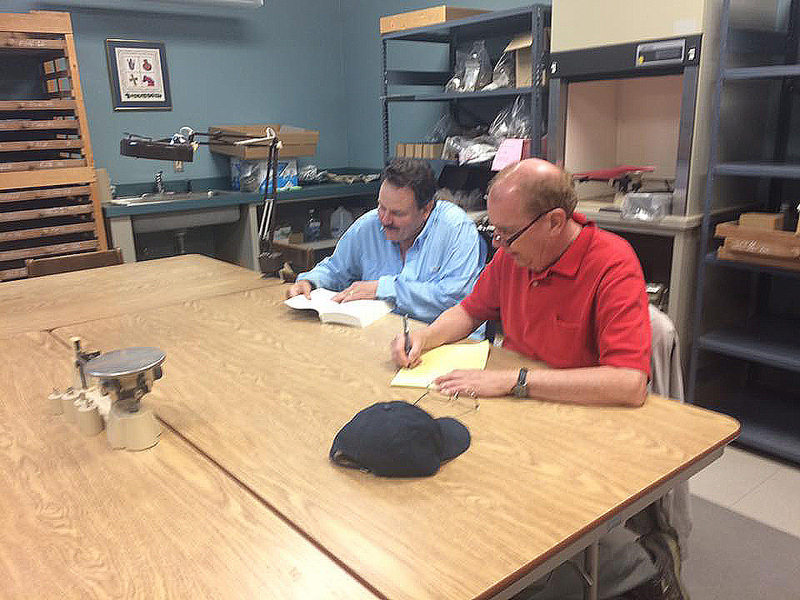 Jeff Mitchem and TAC President Mark Michel consulting on Mark’s press release/article on the Parkin cross excavations, April, 2016. Photo courtesy Jessica Fleming Crawford. Mark’s calm demeanor and sense of fairness (and the fact that he is not a “government” man) put landowners and residents at ease. As noted earlier, one of the biggest problems was establishing legal ownership. In some cases, people had inherited property from relatives, but title searches showed that even those original owners did not have clear titles. Mark negotiated both outright purchases and moving houses to other lots in town in order to acquire the land. Arkansas State Parks subsequently purchased these parcels from the Conservancy. The final occupied house on the Parkin site was acquired in 1994, the same year the Visitor Information Center (VIC) was finished adjacent to the Parkin site. The VIC houses park personnel offices and facilities, as well as our archaeological research station offices, laboratory, and curation areas. The park’s official opening was held that year. Since that time, I have directed extensive excavations at Parkin and several related sites in the area. Laboratory processing and analysis are ongoing, and we periodically update exhibits and interpretive materials based on new discoveries. We welcome visitors year-round, and regularly use volunteers both in the field and the laboratory. Parkin Archeological State Park is now considered a success by anyone’s measures. Mark has told me that he took the Parkin project on as a special undertaking, resolving to see it through to completion. I now take IMMENSE pride in the fact that he considers the entire project one of the Conservancy’s best success stories! I am now a life member of The Archaeological Conservancy, and donate to this great organization whenever I am able. I believe strongly in the aims of TAC and have benefitted from its efforts. At the invitation of Michael Bawaya, I have proofread and helped edit some articles in American Archaeology, and I have worked for years with TAC’s Southeast representatives on acquisition of sites in Arkansas and Florida. On a few occasions, I have accompanied tours in Florida and Arkansas as a guide and speaker. One of my favorite recurring roles with the Conservancy is serving as the introductory speaker when the Southeast region conducts its “Peoples of the Lower Mississippi Valley” tours. Parkin Archeological State Park is the first stop on the tour, where the participants get their introduction to Lower Mississippi Valley archaeology, and we always introduce them to Arkansas barbecue as well! 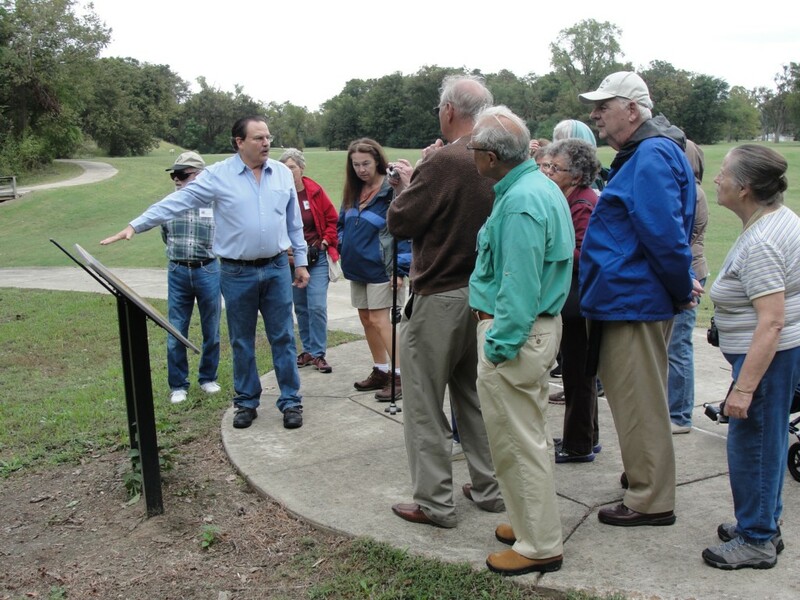 Jeff Mitchem showing participants in TAC’s “Peoples of the Lower Mississippi Valley” tour around the Parkin site, October, 2014. Photo courtesy Parkin Archeological State Park. Mark continues his interest in the park and our research, and in 2016 he was instrumental in helping me get a grant to investigate what we think may have been the base of a wooden cross erected atop the mound at Parkin by the Hernando de Soto expedition. The story is too long to relate here, but suffice it to say that the evidence allows us to make a compelling case that the wooden post we found was part of that cross. My association with The Archaeological Conservancy has been overwhelmingly positive, and I have become friends with many of the staff through the years. Whenever I give presentations on our research, I always mention the positive impacts that TAC has had on Parkin and on North American archaeology in general. No other organization can boast of saving more than 500 sites, and I look forward to helping on the way to 1000! BIO: Jeffrey M. Mitchem earned a BA with honors and a PhD from the University of Florida and a MA from the University of South Florida (all in anthropology). 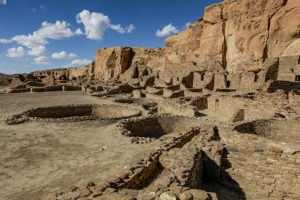 After brief stints at Florida State University and Louisiana State University, he was hired by the Arkansas Archeological Survey in 1990, where he remains today. He is Station Archeologist of the Parkin Research Station at Parkin Archeological State Park and Research Associate Professor at the University of Arkansas (Fayetteville). In addition to his ongoing research in Arkansas, he has carried out field research in Florida, Georgia, Alabama, Louisiana, Idaho, and the country of Jordan. Mitchem has also studied museum and private collections in the U.S., Spain, and Jordan. 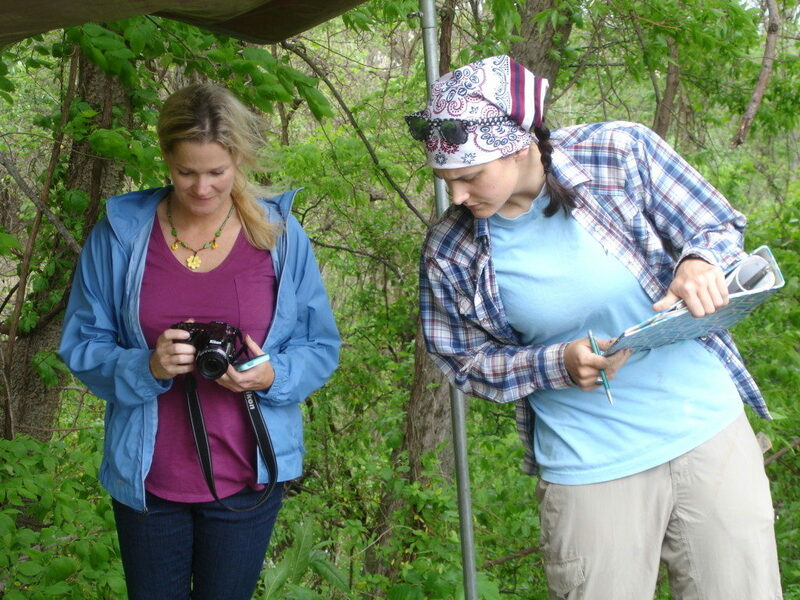 TAC’s Southeast Representative Jessica Fleming Crawford and Arkansas Archeological Survey Research Assistant Katie Leslie at the Parkin site cross investigations, April, 2016. Photo courtesy Arkansas Archeological Survey. 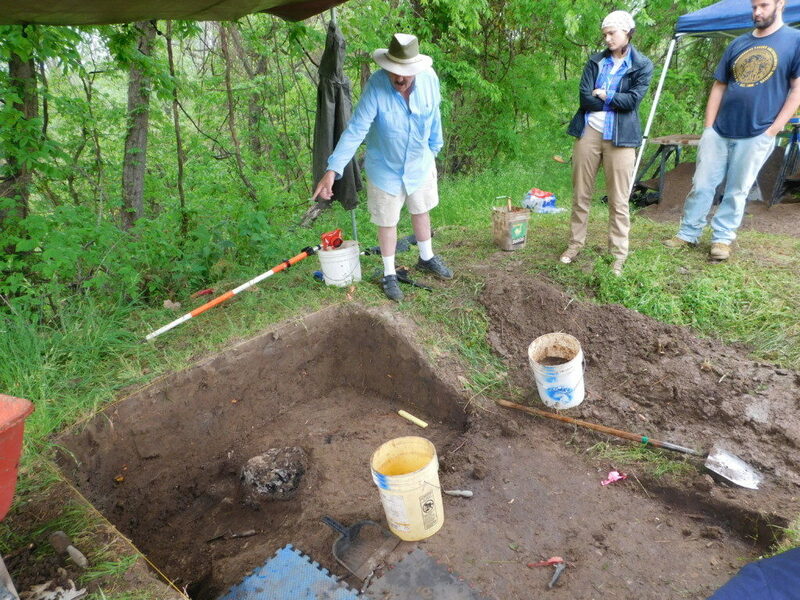 Jeff Mitchem pointing out the presumed cross base to Arkansas Archeological Survey Research Assistants Katie Leslie and Robert Scott, April, 2016. Photo courtesy Jessica Fleming Crawford. I grew up in Wynne, Arkansas, about 15 miles away from Parkin. When I was a boy scout, we did a field trip to the Parkin site. This would have been in the late ’60s or early ’70s. I don’t remember much about the site itself, but I do remember there was a plowed field adjacent to the site that we had to walk through. 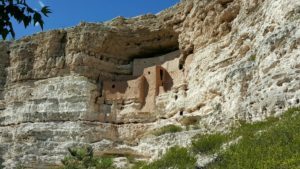 Since I had always had an interest in archaeology, I kept my eyes peeled going over the bare dirt. I discovered several teeth just lying on top of the dirt. 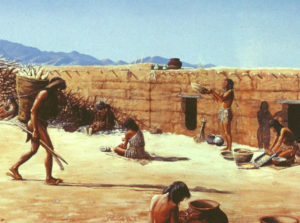 I kept some of them and showed them to my mother, who didn’t believe they could have been from Indians as they were in too good of condition, but I was convinced they were Indian teeth. I no longer those teeth, or I would turn them over to Dr. Mitchum. Now that I think about it, we also found some pottery shards on top of the ground. This is an interesting part of the state. There was a settlement of Cherokees not far from Wynne on the St. Francis river where some of the Cherokee settled rather than continue on the Trail of Tears. It was so wild there, they could avoid the few whites in the area at that time. Fun to read about the path you’ve taken to Parkin Arkansas. How fortunate for you that you discovered your passion and life’s work and how fortunate for the Parkin Research Station that you found it there!